Our Little Bumbles room is situated on our second storey. This room caters for children aged 30-50 months and our Honey children attend regular play spaces prior to making their transition into this room. We work on a 1:8 ratio for children within this room and have a strong team of staff in place. We promote independence through care routines and through play. The room is split into different areas to promote a wide range of learning. In addition, there is a separate cosy room and separate bathroom, again fully equipped with a changing station, potties, toilets and sinks. Our Bumble children have access to a separate dining room, which is located adjacent to the main room. The dining room is used for all mealtimes, as well as regular baking/making activities. 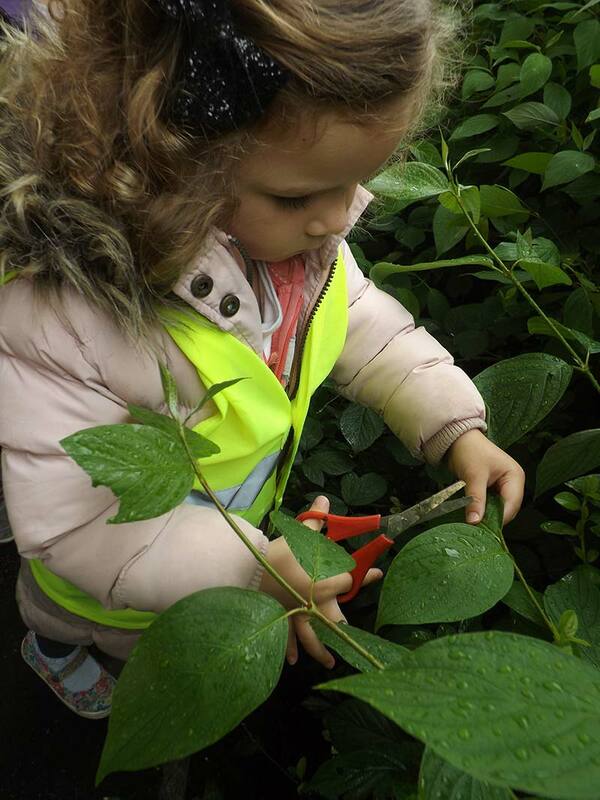 Our Little Bumbles children enjoy accessing the nursery garden, as well as wider community walks – our children particularly enjoy nature walks, collecting resources and brining these back to nursery to further explore. We have a large Heuristic area with a ‘loose parts’ approach, where children are invited to explore in their own ways, accessing real-world items that challenge them to problem solve. A smart-table is used for small focus group activities, to promote letter recognition, counting, fine motor development and IT skills. Our Big Bumble room is for our pre-school children with age ranges of 40-60 months. We are very proud of our pre -school and the many experiences we offer to the children which gives them choices and opportunities to thrive, extend and develop skills and knowledge and build an understanding of the pre-school curriculum. Within this room we feel it is important to give the children a blend of informal child-initiated experiences, balanced with some more carefully planned structured activities geared to enhance their learning at the appropriate level. In Big Bumbles, we spend time exploring the Letters and Sounds programme which children will continue to develop through their first years at school. We begin by starting with phase 1, progressing onto the first initial sounds S,A,T,P,I,N. Letters and Sounds is a phonics resource published by the Department for Education and aims to build the children’s speaking and listening skills in their own right as well as to prepare children for learning to read by developing their own phonic knowledge and skills. In addition, we look at letter recognition, letter formation and making links between these letters and sounds. Pre-school children have daily access to a wide range of ICT educational games and programmes. 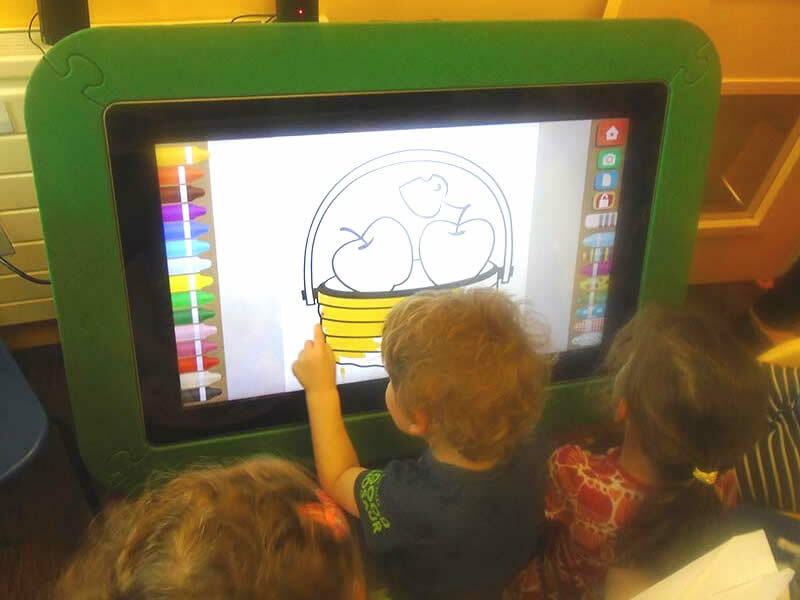 We also have a second interactive smart-table, tablets and Bee-Bot to further assist with their learning journey. 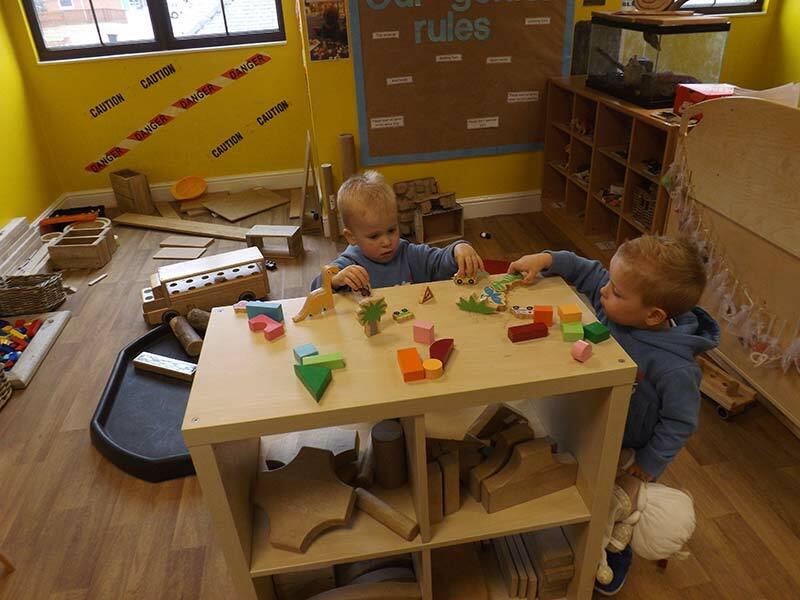 The children have permanent access to the water tray, sand, the story room, the writing table, the easel, and other opportunities such as a number area or discovery table which enables us to create a language rich environment. Our Big Bumbles also have access to a ‘Funky Fingers’ table to encourage the development of finger/hand muscles to support the development of early writing. 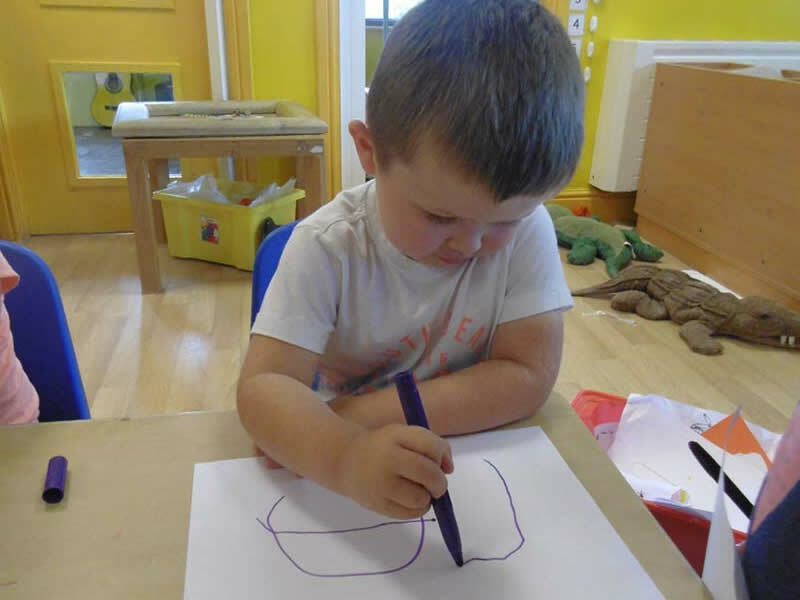 The children are actively encouraged to be independent and have free access to toys/resources and equipment for them to be able to explore freely in their learning environment. The emphasis is on ‘Learning Through Play’. By giving children free access to these things, they learn independence and responsibility and take ownership of their own achievements. Staff and children work closely together and follow the guidelines to the Early Years Foundation Stage. Big Bumbles also have access to our nursery garden as well as the wider community for outings. The outdoors is a haven for children’s learning. We also have a Forest School Programme that encourages children to become more involved with nature; building stick sculptures, creating dens and exploring mud. It is always sad when we say farewell to our children when they leave us to go to ‘Big School’, and we know it can be daunting choosing a school. We have close links with the schools we send our children to and liaise with the reception teachers, inviting them into nursery to meet their new pupils. We hold transition meetings for any children where additional support may be required to support school transitions. This is not an exhaustive list as we have children who attend from other areas within county Durham and the surrounding areas. 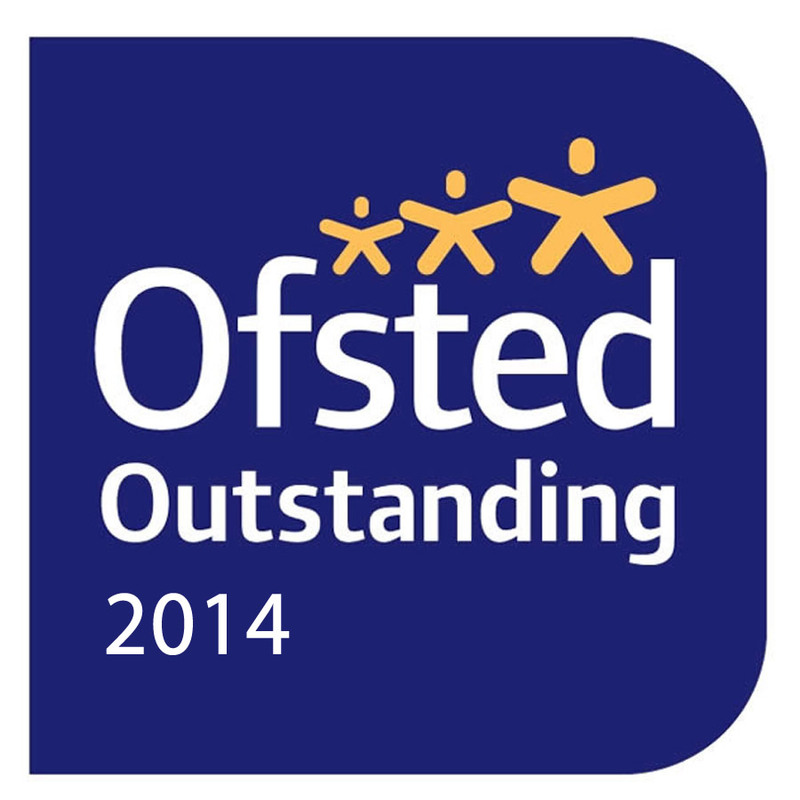 We will support your child’s transition and will endeavour to work closely with the school you choose for your child.